For those looking for the next timepiece to add to their collection, or perhaps one to start their collection, we have put together a guide on our top picks of the new timepieces available at Watches Of Switzerland. From sporting styles to classic designs, we have a wide array of pieces for both men and women. With a rich heritage and commitment to pushing boundaries and overcoming technological restraints, TAG Heuer is renowned for creating watches that master timekeeping with unparalleled precision. 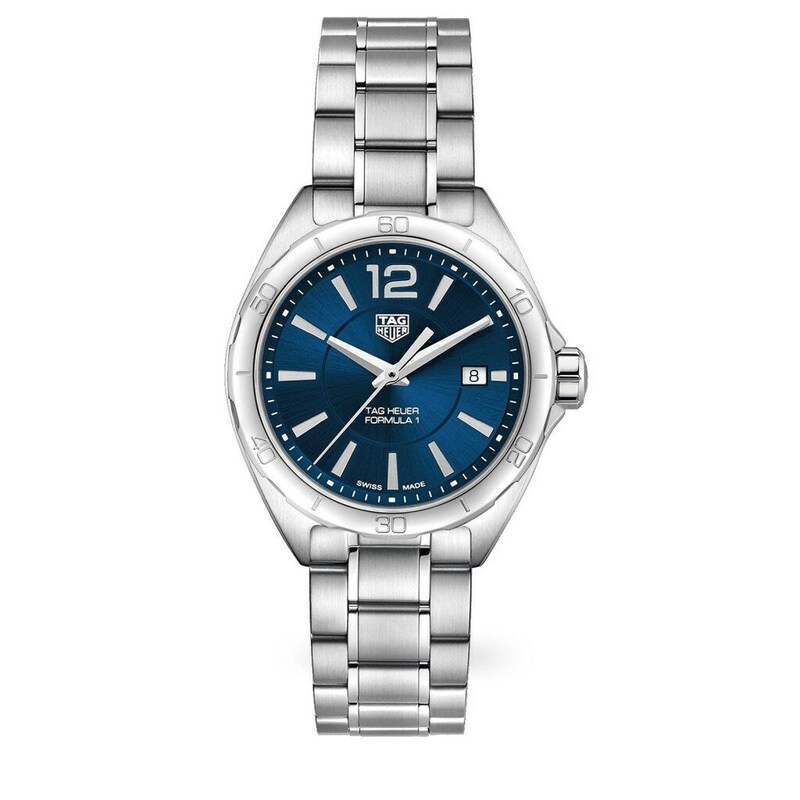 The epitome of sporting luxury, this TAG Heuer Formula 1 32mm Quartz Ladies’ Watch exudes chic style in abundance, proving that innovation and timeless design can work together with effortless ease. 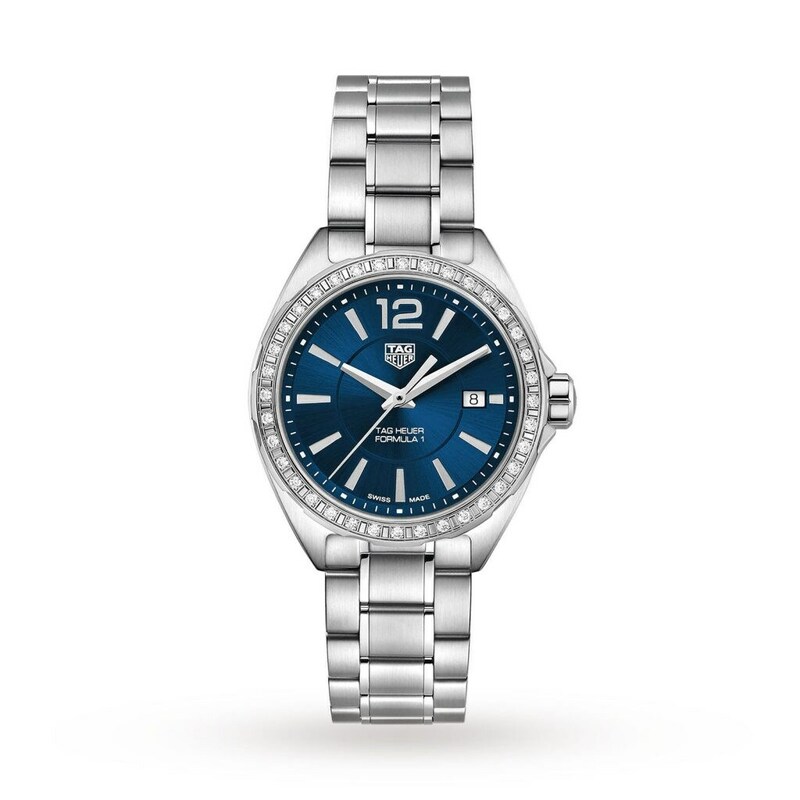 Featuring a stylish stainless steel strap, small diamonds surrounding the face, powerful Quartz movement, a polished stainless steel case, a striking blue dial, and water resistance to 100 metres, this watch has been designed to stand the test of time, on and off the track. This watch is a more affordable version of the watch previously, but this by no means makes it an inferior piece. The quality in the craftsmanship and the inner workings is exquisite and just like the other, this features a stylish stainless steel strap, powerful Quartz movement, a polished stainless steel case, a striking blue dial, and water resistance to 100 metres, this watch has been designed to stand the test of time, on and off the track. This watch doesn’t feature diamonds around the face making it a more robust watch and one that you can wear in your everyday life. Breitling created the first Superocean in 1957 to equip professional and military divers, but it immediately developed a following among leisure divers and watch enthusiasts. Function and elegance come together to create the Superocean Heritage range. As its name suggests, this collection is water resistant up to 200m, but enjoys the styling of the original 1950s model. 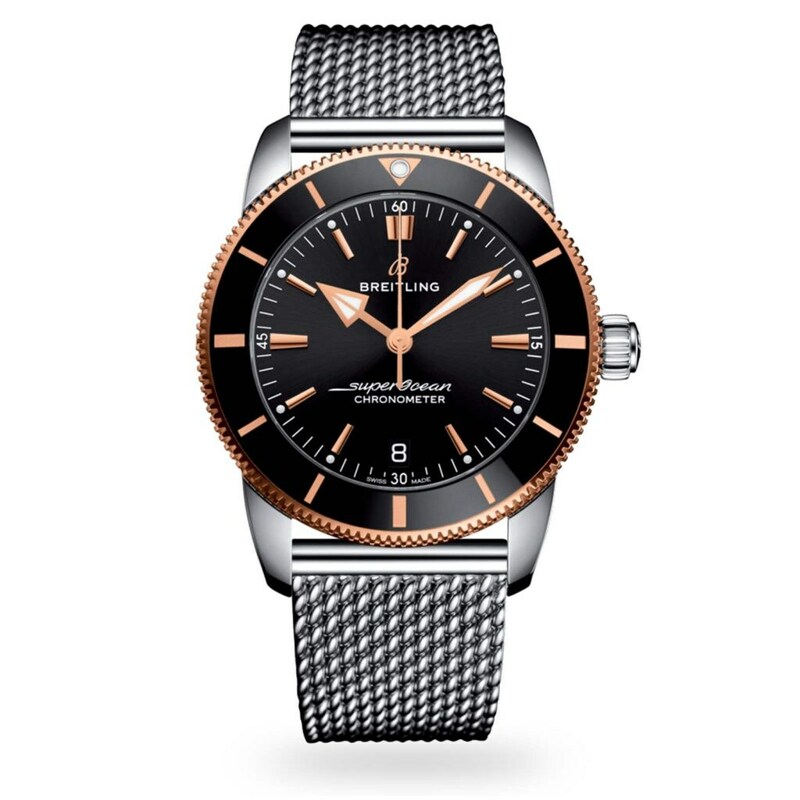 The classic range combines distinctive appearance with excellent performance, and includes a COSC chronometer-certified Breitling 20 self-winding mechanical movement. This Breitling Superocean Heritage II Chronograph 42 Men’s Watch comes equipped with a 42mm case, which houses the blue dial and hand-made movement that provides the power. Attached to the case is a stainless steel bracelet for increased comfort on the wrist and the timepiece is water resistant up to 200 metres. The timeless Portofino collection is inspired by the Dolce Vita luxury lifestyle of Portofino, Italy. In 2014 the Automatic 37 complemented this elegant and ever-popular collection by offering timeless complications in a slightly small case. 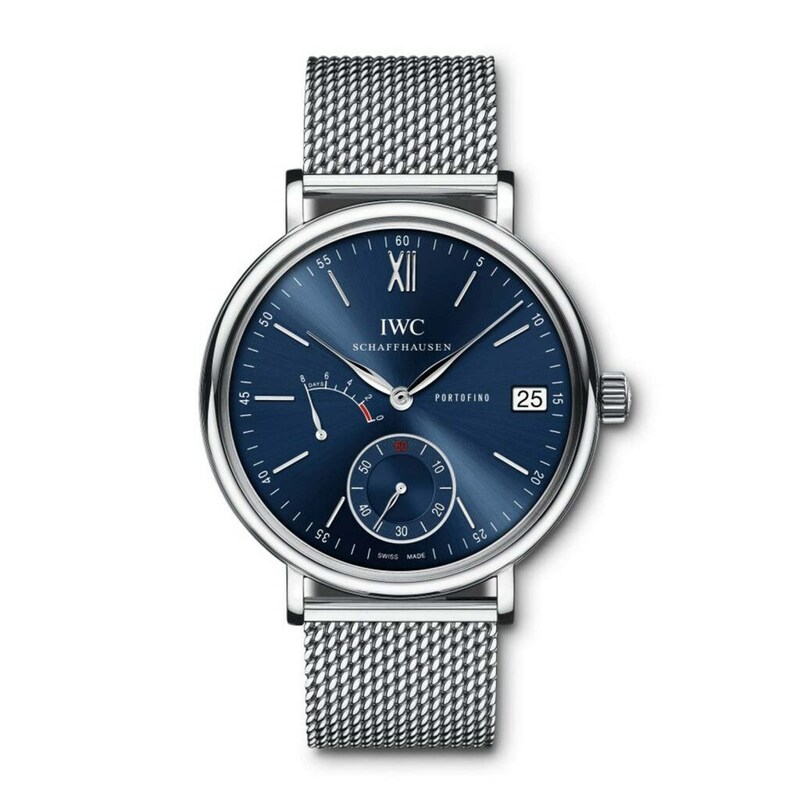 This IWC Portofino Handwound 8 Days Men’s Watch comes equipped with a 45mm case, which houses the blue dial and hand-made mechanical movement that provides the power. Attached to the case is a stainless steel bracelet for increased comfort on the wrist. The timepiece is water resistant up to 30 metres. Ideal for any collector. Founded in 1980, this Swiss brand is renowned in all corners of the globe for crafting outstanding timepieces that optimise design, innovation, and luxury. The Classic Fusion Collection features a whole host of exciting models that explore the endless possibilities of timepiece design. Each watch within this inspiring collection boasts its own unique design and offers outstanding functionality. 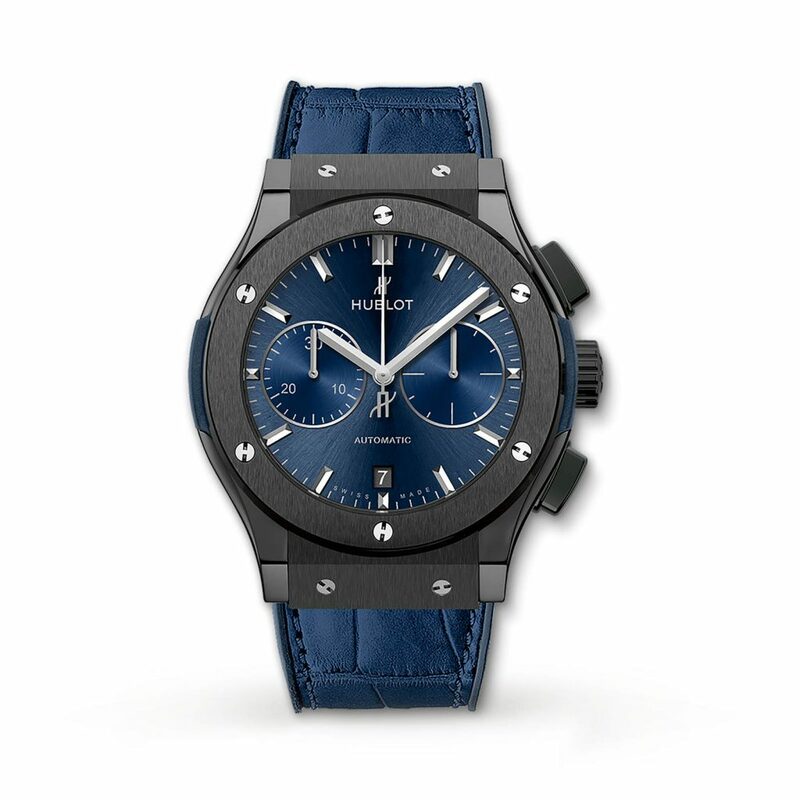 The Hublot Classic Fusion Ceramic Blue Bracelet Men’s Watch is no exception. Boasting a stylish ceramic strap, powerful Automatic movement, a ceramic case, a striking blue dial, chronograph functionality, and a handy date window, this innovative, forward-thinking timepiece is sure to become a welcomed addition to your accessory line up. Blue watches are a great investment as a stylish upgrade to classic black. Inspired by the historic Luminor 1950 case created for the underwater commandos of the Italian Navy the Luminor case was created for the first Panerai watches developed for the civilian public, reinterpreting the classic proportions in a contemporary manner and preserving all the characteristics that have made this watch an icon of luxury sports watchmaking. 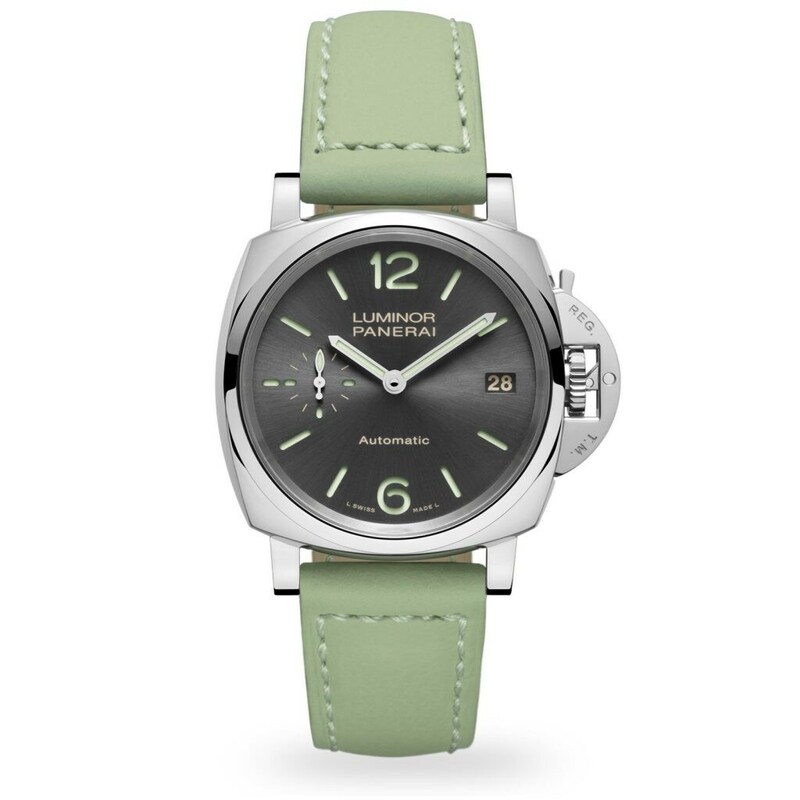 This Panerai Luminor Due Unisex Watch comes equipped with a 38mm case, which houses the grey dial and hand-made automatic movement that provides the power. Attached to the case is a calf skin leather strap for increased comfort on the wrist. The timepiece is water resistant up to 100 metres. To take a look at our newest pieces, please visit your nearest Watches Of Switzerland showroom, where one of our experts will be happy to show you. Alternatively, you can always shop online too.